Directions for use: Feed as a treat. 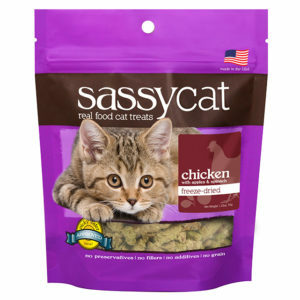 (Please note there are NO herbs in Sassy Cat treats). Cooling food energetics. Great for the allergic or anxious cat! Warming food energetics. Great for the cat that needs added joint support! Neutral food energetics. Great for any cat!